Explore a colourful cast of mischievous characters and epic monsters! Experience the tension of overcoming chaotic one-vs-two skirmishes! Quickly & manically juggle an ever-growing arsenal of deadly weaponry! Challenge friends in a one-vs-one local-multiplayer on the same screen!
" 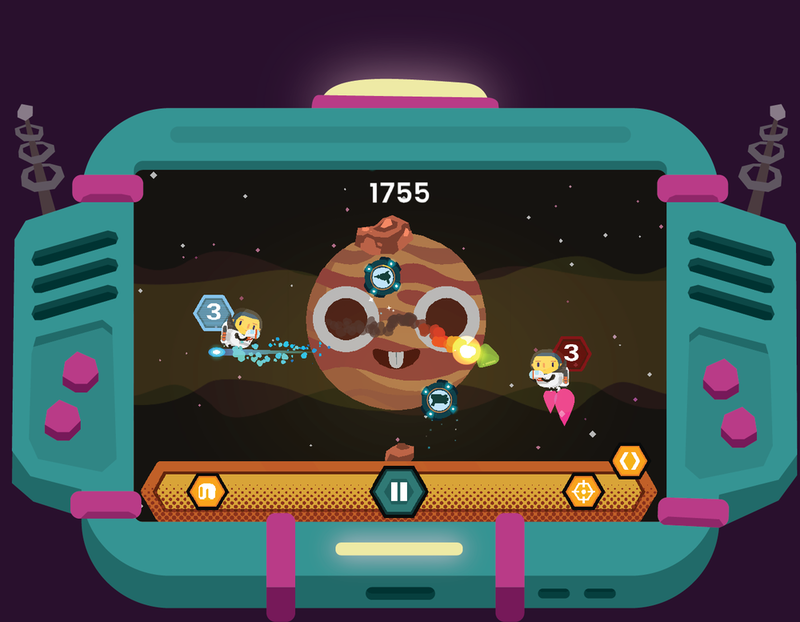 A SWEET-LOOKING SHOOTER "
" A TON OF FUN "
" WACKY COLOURFUL SHOOTER,IN SPACEEE! " " A SPACE SHOOTING ACID TRIP "
" CRAZY, QUIRKY, FUN "
"Shooter Menggemaskan yang Bikin Penasaran "